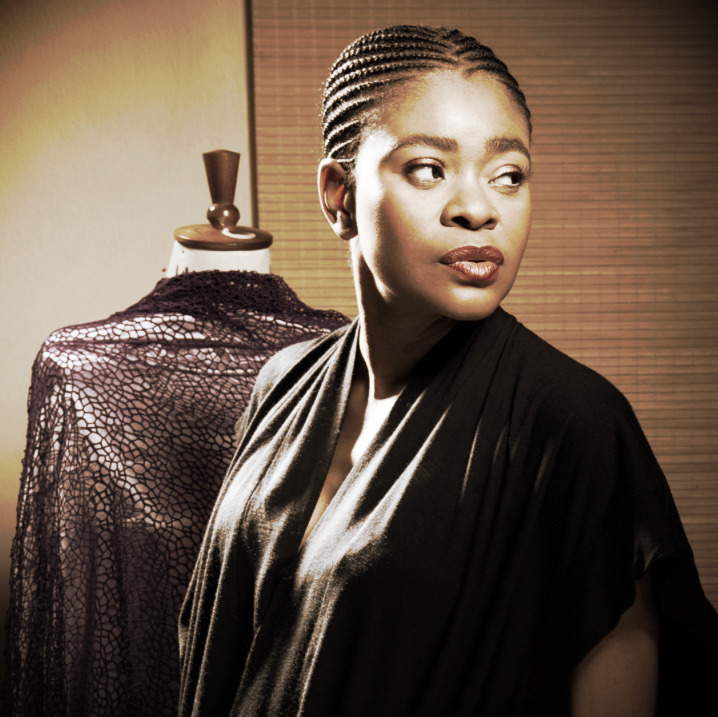 Deola Sagoe, founder of Deola is the leading lady of African haute couture fashion from Ondo State in Nigeria. Deola has been at the cutting edge of high fashion since 1989 and became the first black woman to present a collection at AltaRoma, Rome’s celebrated fashion week, back in 2004. Her globally appealing style has earned her an enviable clientèle that ranges from Africa's first ladies, to society girls like Lydia Hearst, top model Alek Wek, and famous personalities such as Oprah Winfrey and Will Smith. Deola, a mother of three, studied at the University of Miami and University of Lagos and earned a Masters in Finance and Management. She was appointed Nigeria's representative to the United Nations World Food Program 'Catwalk the World: Fashion for Food' with the goal of raising money towards halving the number of hungry people in the world, particularly children, by 2015. Deola frequently exhibits her couture collection at Cape Town Fashion Week and has been an invited guest of New York Fashion Week in the past. With top models, A-List celebrities and famous society personalities making up her clientele lists, Deola Sagoe, founder of haute couture fashion house Deola, is an entrepreneurial success story of note, putting the Nigerian fashion scene well and truly on the global map. Deola Sagoe has entrepreneurship in her blood, coming from a prominent family of Nigerian entrepreneurs and owners of the Eilzade Group, originally started by her father and late mother, and today run by her brother. It was only whilst studying business administration at the University of Miami in Florida in the mid 1980s that she developed an appreciation for the world of fashion. What's the essence of Deola's style? Breathtaking was the word used to describe the latest designs created and launched by Africa’s Queen of Haute Couture, Deola Sagoe, who was showcasing her Spring/Summer 2015 Collection tagged “Wings By Deola”, at the prestigious Mercedes Benz Fashion Week in New York this month. The Business Side of Fashion (BSoF) forum in Nigeria brings together successful fashion designers every year to serve as an inspiration to the upcoming ones. This year's Forum featured Deola Sagoe who shared with the participants some of her hard earned business knowledge of the industry. African designers need to celebrate their cultural roots and fashion history in order to become globally competitive…. “I just had this can-do spirit. I was just so convinced that my product was so genuine and would no doubt conquer the world." “A lot of people’s motive of coming to fashion business is not clear. If you are passionate about the industry and you feel you have something to offer or to showcase, no matter how challenging it is, you will stick to it. A whole lot of them come around because of the glamour forgetting that it is a business." - Deola Sagoe, founder of Deola is the leading lady of African haute couture fashion from Ondo State in Nigeria. Deola has been at the cutting edge of high fashion since 1989 and became the first black woman to present a collection at AltaRoma, Rome’s celebrated fashion week, back in 2004. Her globally appealing style has earned her an enviable clientèle that ranges from Africa's first ladies, to society girls like Lydia Hearst, top model Alek Wek, and famous personalities such as Oprah Winfrey and Will Smith. An iron will and a good eye have helped designer Deola Sagoe lead the Nigerian fashion industry on to the global stage. As part of the 'My Nigeria 'series on Al Jazeera, Deola Sagoe takes us into her fashion world and how she sees Nigeria. Founder, executive producer, and host of I of Africa, Aina Fadina, interviews Nigerian Couture designer, Deola Sagoe. Watch as Deola Sagoe explains how Yoruba and Japanese culture has influenced her creative process. She also uses her 25 years in the fashion business to provide an insight into building luxury labels in Africa and the importance of being true to your brand. SPICE TV Celebrates Mothers in Fashion as veteran designer Deola Sagoe marks 25 years in the industry. In honour of Mother's Day and after a month celebrating 'Mothers in Fashion', SPICE TV brings you a tribute to Deola Sagoe -- the designer, the woman and mother, as you've never seen her before. In an intimate, exclusive interview detailing the designer's move to rebrand her label from Deola Sagoe to Deola, her work, achievements and her inspirations, Deola shares on her Mother, children and motherhood itself, giving insight into the icon's inner circle. CNN's Nima Elbagir reports on a new breed of Nigerian designers taking fashion upmarket in the country. She interviews leading designer Deola Sagoe about Nigeria's fashion industry boom. Watch this fascinating interview with Deola Sagoe conducted by Dolapo Oni of 53 Extra. Deola talks about her passion for design and her family's new fashion label Clan which is managed by her talented daughters. “The West has taken and borrowed a lot from Africa…now it’s a renaissance: we’re claiming back what is ours and we’re adding value to what is ours, making it globally acceptable and globally appealing." "...unless you love who you are and what makes you, 'you', you’re going to have a difficult time getting anyone to like you or value you." - Deola Sagoe is the founder of Deola and the leading lady of African haute couture fashion from Ondo State in Nigeria. Deola has been at the cutting edge of high fashion since 1989, becoming the first black woman to present a collection at AltaRoma, Rome’s celebrated fashion week, back in 2004. Her globally appealing style has earned her an enviable clientèle that ranges from Africa's first ladies, to society girls like Lydia Hearst, top model Alek Wek, and famous personalities such as Oprah Winfrey and Will Smith. "The truth is, for every stereotype of corruption or extremism you hear of, there are a million motivated and driven Nigerians who add value and impact positively in and out of Nigeria." 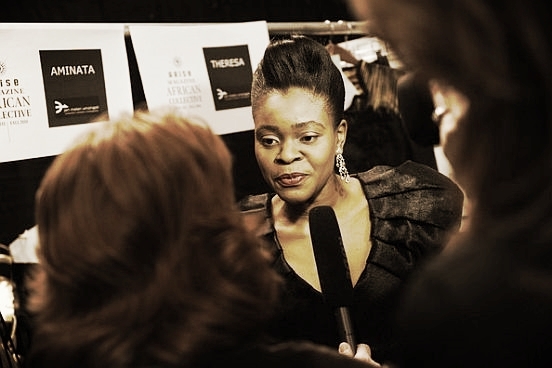 - Deola Sagoe, leading lady of African fashion, is a haute couture fashion designer from Ondo State in Nigeria. Deola has been at the cutting edge of high fashion since 1989 and became the first black woman to present a collection at AltaRoma, Rome’s celebrated fashion week, back in 2004. Her "globally appealing" style has earned her an enviable clientèle that ranges from Africa's first ladies, to society girls like Lydia Hearst, top model Alek Wek, and famous personalities such as Oprah Winfrey. "We don't need aid, we need partnerships. We cannot continue to be a beggar nation. I have always believed you shouldn't give the man the fish, but teach the man how to fish and he will be able to take care of himself and others."